- Give your 38mm/40mm & 42mm/44mm Apple Watch a fashion or athletic look with this cool silicone sport band. Its metal and silicone construction ensures durability, and the multiple adjustment holes let you achieve a desired fit. - Easy Installation: Simple and easy to install and remove. Just slide the band into the metal adapter slot. Fits for wrists 5.90"-8.34" (150mm-212mm) with precise holes for adjusting. 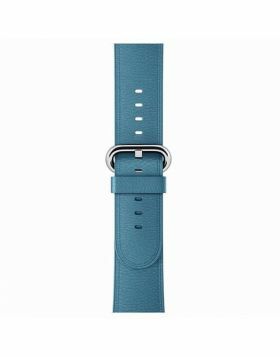 - This cool silicone sport band compatible with all versions Apple Watch, including Series 1, 2, 3, and 4. 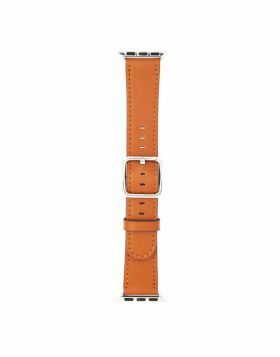 The 42mm band works with the 44mm Series 4 watch; the 38mm band works with the 40mm Series 4 watch. 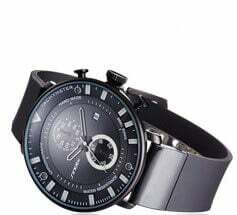 - 1 YEAR LIMITED WARRANTY: We know you are going to love your band but we guarantee a 100% refund if you are not satisfied with the products you received within 30 days and we provide 12 month warranty, If anything is wrong - please feel free to contact us - we will make it right.